The Huskers beat Purdue last Saturday in come-from-behind fashion, and they – understandably and rightfully – celebrated the win after, but they know they need to be better. 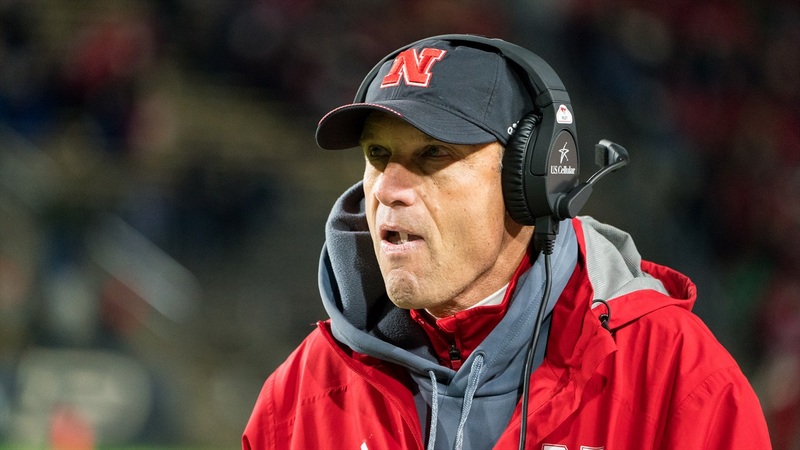 “Somebody told me once, you can’t overlook in victory what you wouldn’t overlook in defeat,” head coach Mike Riley said at his Monday morning press conference. Nebraska didn’t tackle well against Purdue – Riley credited the Boilermakers with 45 yards after contact in the game. Nebraska didn’t finish drives with touchdowns and settled for field goals on four of its six trips to the red zone. Maybe most upsetting, though, was the struggles in the run game. “We had a long talk last night and this morning about the running game and what we’re going to try to do and what’s the best way to attack this,” Riley said about fixing whatever it is that has become out of place in the Huskers’ rushing attack. Nebraska produced a season low 40 yards rushing yards on 27 carries against Purdue (61 yards if you want to take the sacks out of the equation), with a 1.5 yards-per-carry average. On Saturday, it will welcome a team to Memorial Stadium in Northwestern that has held four straight Big Ten opponents under 100 total rushing yards, including Penn State and Heisman darling tailback Saquon Barkley. The last time Northwestern gave up 100 was to Wisconsin on Sep. 30, and the Badgers only averaged 2.9 yards per carry. “They’ve been really good run defense, so I think being selective and probably having a run or two that is repeatable,” Riley said when asked what they could do differently this week. “I don’t think it’s wise to have a whole bunch of stuff you try to execute against this defense. I think if we can get some balance going and some counter, curveball-type plays to what might be a base run would be good. That was something Riley stressed: they don’t want to go away from the run game. Riley, offensive coordinator Danny Langsdorf and the Husker offense wants to run the football. They just need to diagnose what’s keeping them from doing it effectively. Riley has a pretty good idea of what that is. Riley said they “certainly never intended” to be a team that couldn’t and wouldn’t run the ball, but that’s the situation they find themselves in. In the last two games, Nebraska has averaged 1.95 yards per carry. It has run the ball a combined 43 times and thrown the ball 97. One area in which that imbalance has been harmful is the red zone. “The best way to score in the red zone is to run it in and we’re not running very well,” Riley said. “I think if you can run more effectively, I’ve been waiting to get in a situation where we’re down in there and we can use a good play-action pass or a bootleg that we’ve got ready for the game but the situation, because the run hasn’t been very good, hasn’t been very good for that either. We get third-and-goal and those are tougher. Riley said he has thought about using tempo more throughout the game – specifically in the second and third quarters – as a way to jumpstart the offense and create situations where they can find some running success. That might be something they discuss more in the coming weeks. Either way, Riley said they need to be better than they have been. >> The laundry list that has become the Huskers’ injury list continues to grow. Starting center Michael Decker is out indefinitely and Riley said he is “probably” done for the season. Starting right guard Tanner Farmer suffered a high ankle sprain against Purdue and will be “out for an extended period of time,” Riley said. Freshman running back Jaylin Bradley sprained his ankle but Riley said it doesn’t appear too serious. Riley also expects holder Zack Darlington, who missed the Purdue game with an illness, to be better as the week moves along. On defense, starting outside linebacker Luke Gifford is questionable to play against Northwestern with a hip injury that forced him to miss the Purdue game. His back-up, sophomore Tyrin Ferguson, is out “for an extended period of time,” Riley said. Safety Antonio Reed reinjured his knee and Riley said there’s a “question mark there” as to whether he will be available against the Wildcats. Starting safety Aaron Williams also reinjured his neck. Riley said cornerback Eric Lee Jr. is in the concussion protocol. >> Riley confirmed the team is looking at several junior college players "a bit more" this year than in the past. Though he said they haven't had much success in the past finding offensive linemen, they are looking. >> On the line, center Cole Conrad will slide back in to the starting spot he occupied early in the season before an injury knocked him out. Farmer’s spot will be filled by redshirt freshman Matt Farniok. Farniok began the season at right tackle, and started the Oregon and Northern Illinois games before breaking a bone in his wrist. True freshman Brenden Jaimes has since taken the reins at that position, and the staff has moved Farniok inside to guard now that he’s back. Behind him will be redshirt freshman Boe Wilson. >> Each week, Riley lists off a handful of players that he thought had strong individual performances during the previous game. This week, for the first time all season, cornerback Lamar Jackson was in the group. Jackson, who has struggled at times this season, led the team with a season-high eight solo tackles against Purdue. Riley also listed linebacker Chris Weber, nose tackle Mick Stoltenberg – who Riley said had “one of his very best games” – linebacker Marcus Newby, quarterback Tanner Lee and tight end Tyler Hoppes. >> Nebraska was incorrectly called for defensive pass interference on a fake punt in Saturday’s game that negated an incomplete pass on fourth-and-19 and extended a drive that Purdue would eventually find the end zone on. When asked if the referees said anything to him in-game about the call, Riley said no. >> Lee has 10 interceptions on the season, but he hasn’t tossed one to the other guys in 118 pass attempts. He was turnover free against Purdue and Riley said that’s a testament to Lee’s mentality. Riley said he felt Lee had his best game of the season against Purdue in terms of looking for the downfield pass and then taking his check-down if it wasn’t there.